What Is the Difference Between Oysters and Clams? Both clams and oysters are a class of mollusks, called bivalves. All bivalves have two shells held together by hinges. One big difference between oysters and clams is that the oyster spends all of its life except its first few weeks attached to one spot. The clam moves itself around throughout its life by means of a foot, a hatchet-shaped muscle which protrudes from the shell. The clam pushes its foot out, hooks it in the sand, and pulls itself along. Oysters have a foot like this when they are very young, but it disappears when the oyster finds a place to settle. Are Clams and Oysters On the Half Shell Still Alive When We Eat Them? How did Razor Clams get their name and Why do Clams have a Foot? 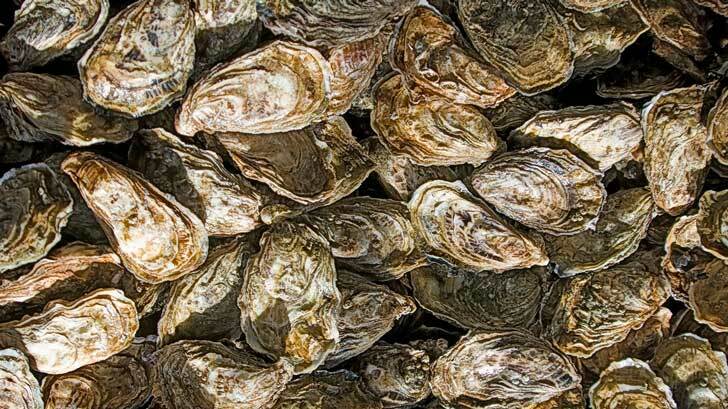 What Did Oysters Have To Do with Elections and Trials?